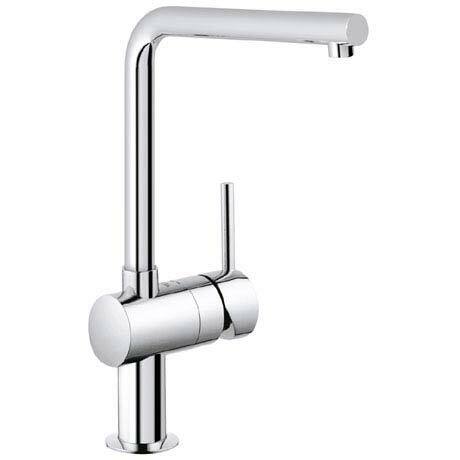 The impressive Minta kitchen sink mixer will make a durable and very attractive addition to your kitchen. The tap features a tall spout which swivels so filling multiple pots or switching between two basins is a breeze. The water flow and temperature are controlled with a lever that moves super smoothly thanks to the integrated GROHE SilkMove technology.